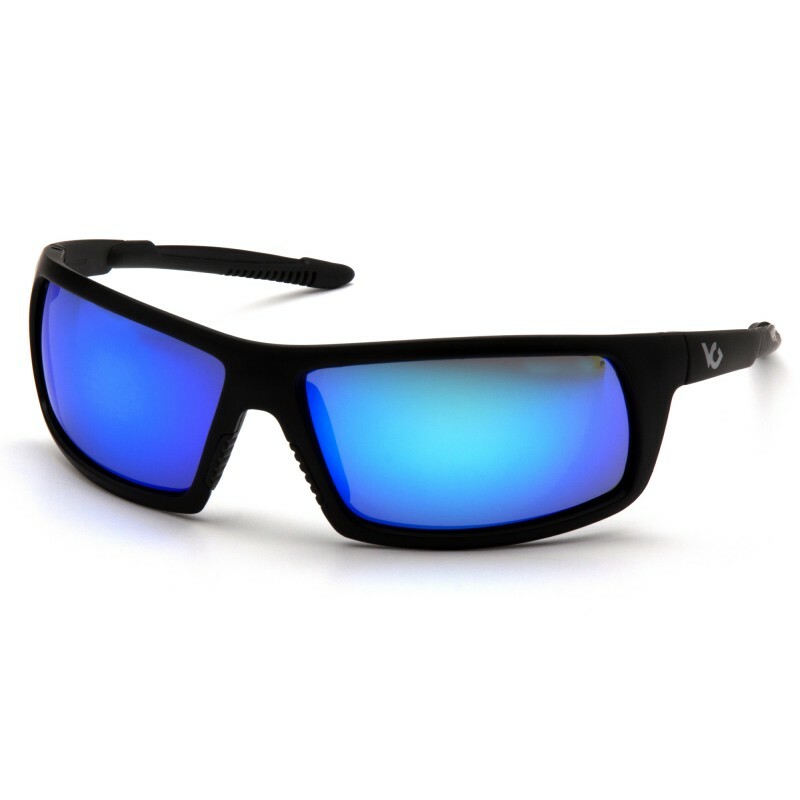 Venture Gear Tactical - Stonewall - Black Frame/Ice Blue Mirror Anti-Fog Lens - Wrap-around, sunglass style. Durable, flexible nylon frame and straight-back temples. Built-in rubber nosepiece. Anti-fog, scratch resistant polycarbonate lens provides 99% UVA/B/C protection. Passes MIL-PRF 32432 High Velocity Impact Standards.